If you were a middle-class Bengali kid growing up in the 90s and early 2000s, you would know ‘DiPu Da’ very well. For those of you , who have no clue, it was, is, and will remain the go-to golden trio of weekend getaways for the traveler in every Kolkata Bengali – young and old alike; Digha (maybe you can replace that with Mandarmoni for the contemporary millennial), Puri, and Darjeeling. Funnily enough, other than Puri, I can’t quite say the other two destinations featured heavily in our annual travel plans, while I was growing up. I once visited Digha as a 10-year-old. It was a Summer Camp (of sorts), not a holiday. And a rather forgettable trip to Darjeeling some 13 odd years back. The high point was taking my first flight – all of 45 minutes – rather than the vacation itself. And then I caught the stomach flu, when I finally did reach. Anyway, Mr.B and I have been planning a trip to the hills of North Bengal forever. And it finally happened in the last week of March. 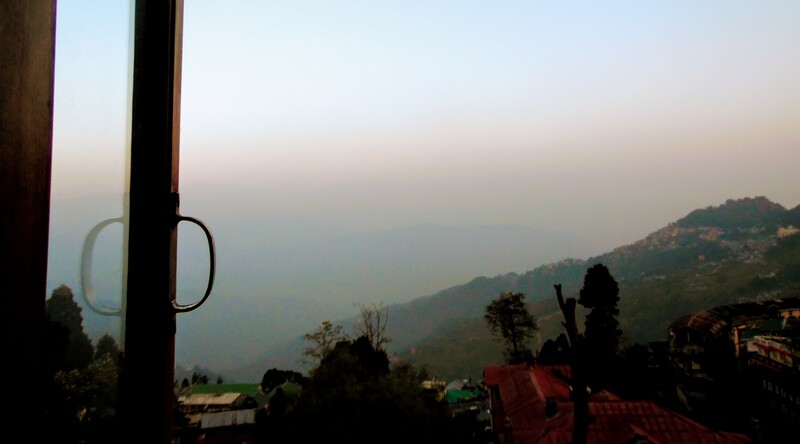 Among the many reasons, we chose North Bengal over Himachal and Uttarakhand – they are decidedly easier to access from Jaipur – is the nostalgia Mr.B associates with Darjeeling and Kalimpong (which was also a part of our vacation). He did his schooling from these two hill stations. There are a few things that you readily associate with Darjeeling. For instance, tea, Keventar’s, Mall Road, Kanchenjunga. An old, quaint bookstore is not one of them though. The Oxford Bookstore is situation at a prime location right on top of mall road and yet, even the most seasoned of Darj visitors probably do not know of this largish store with it’s green wooden doors and panelled high ceilings. I probably would have missed it too, if the husband was not looking for it specifically. He was appalled by the changes that had occured over the years. 20 years ago, the streets were less congested, hardly any cars were around, no monstrosity of a mall right opposite Joey’s Pub, nor were there so many constructions; most of which are hotels/homestays. As we walk up to the mall, he was half afraid that the store might have been demolished to give way to some hep cafe or worse still, a posh hotel. Much to his relief – and mine – there stood Oxford Book and Stationery Co. with its doors wide open and welcoming. 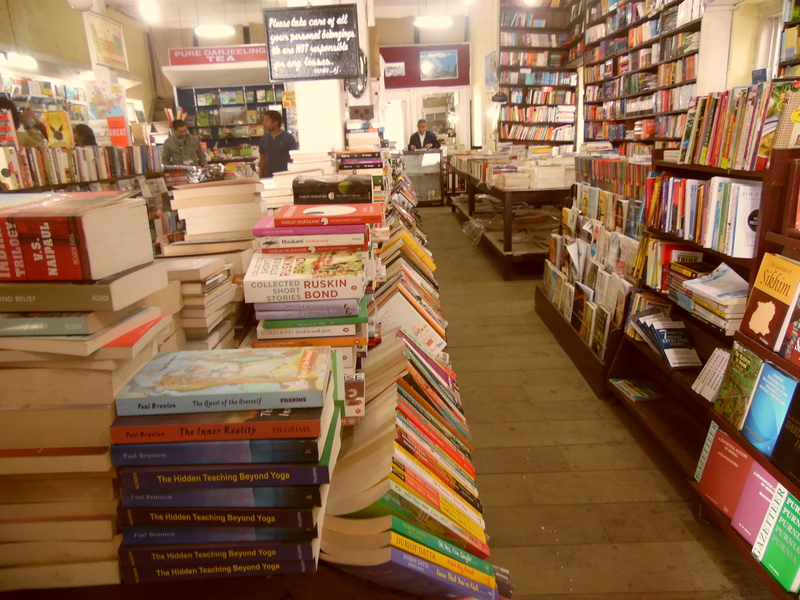 It has got none of the jazz of Crosswords – the most recognizable pan-India Bookstore chain. Or the elitist and almost snobbish exterior of its namesake in Park Street, Kolkata. It stands self-assured, in its simplicity. I stand at the door taking in the expanse, while Mr.B walks up straight to the elderly gentleman at the desk, at the end of the aisle. I hear him enquiring about Commando comics. The old man gives a wry smile and shakes his head gently – “kids don’t read those these days”. Two clowns are busy taking selfies in front of another row of books. I can’t help but give them a long hard look. They hurry out when they realise they are being stared at. I shift my attention to the stacks and stacks of books neatly lined on the heavy wooden racks. There’s pulp, there’s pop and there’s a whole lot of Murakami. I bag the two titles, I have had on my list for long: Sputnik Sweetheart and Norwegian Wood. The attendant helps me find the latter and I get busy browsing the other sections. 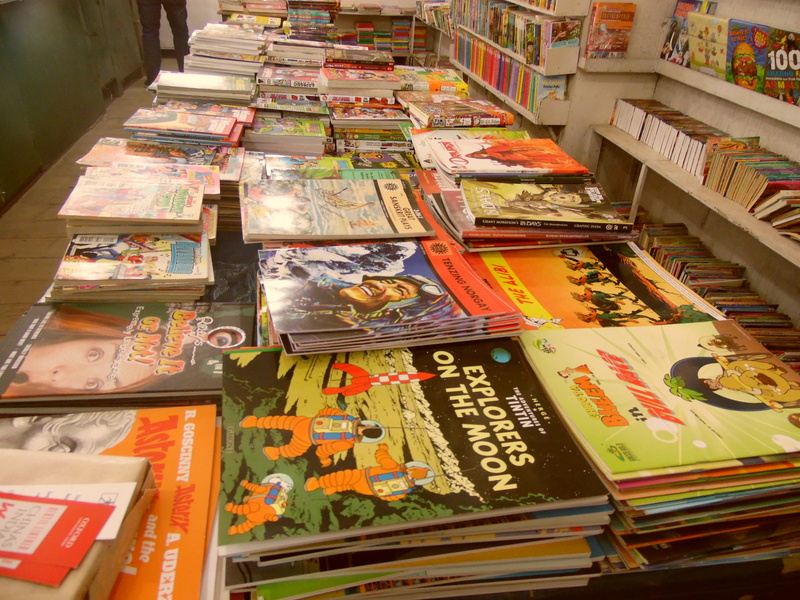 There’s a whole section dedicated to the comics we grew up on. Tintin, Tinkle and Chacha Chaudhary et al. I take pictures while the books are being billed. The smiling old man slides in two page markers before wrapping up the paperbacks in a brown paper bag. I probably could have gotten a heavy discount on Amazon. But, it wouldn’t be half as satisfactory as buying them from this place that may or may not tide over the onslaught of times we are living in. A reminder of the times, that once was. Last year I remember posing a question to the bookstore manager in Mussoorie Which was about declining interest of book readers towards the physical book stores. 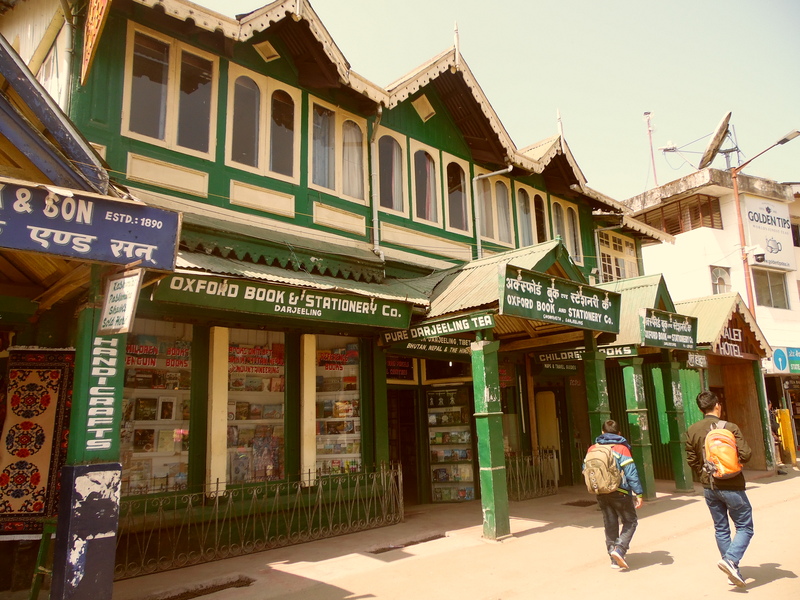 He said that people love visiting book stores in hill stations​. I guess people are in a different mood and have ample time to read books. I’m not 100% sure, just a guess. I guess so too. People in the hills still aren’t rushing things. At least not yet. And I hope that is how it stays. Where will the city people end up otherwise! !